The Naptime Chef™: Mocha Brownie Tarts & Starbucks VIA Giveaway! Mocha Brownie Tarts & Starbucks VIA Giveaway! *Note* VIA Giveaway entry instructions at bottom of post! Despite having a toddler I am not a big coffee drinker. It's not that I don't need caffeine to help me start the day - I have a cup of Scottish Breakfast tea every morning - I've just never acquired a taste for the actual brewed drink. However, I do like the more subtle taste of coffee when it is used in ice cream and baked goods, so when I received a free sample of Starbucks VIA last month I wasted no time getting started on baking my Mocha Brownie Tarts. When I made these mocha brownie tarts the other week I opted to add the instant coffee granules straight, instead of brewed coffee. Adding all that liquid would have made them too cakey, and I really wanted to stick with the texture of a denser brownie. Since I was making them for a friend I also choose to use my favorite individual paper tart pans from the baking supply store in Chelsea. They are perfect for making small portions look elegant, and are very easy to transport. Like all good brownie recipes, whipping these up during my daughter's naptime was a snap. It basically required the careful melting of chocolate, mixing of ingredients and proper baking time. When the tarts came out of the oven they were a gorgeous deep brown with a perfect crackly top. Not to mention, the scent of coffee and chocolate in our apartment after thirty minutes of baking was enough to make anyone start salivating. The aroma had even pervaded my daughter's bedroom to the point that she asked for "chocolate cake mommy!" the moment she woke up from her nap. She wasn't thrilled with the coffee undertones, but gobbled up a small piece pretty quickly. I am thrilled to report that baking with the Starbucks VIA was a huge success. By adding coffee to the batter the chocolate flavor became deeper and more intense. The texture was identical that of a regular brownie, without being too cakey or dry. In the recipe that inspired this one Ina had also added nuts, but, frankly, I had no interest in that. Instead, I stuck with adding only the chopped chocolate bars - I don't like anything to stand between me and my chocolate. When my friend served these to her guests she gave them a choice of fresh vanilla whipped cream or vanilla ice-cream on side. Either option is a great idea, a mild, sweet accompaniment is a perfect way to balance the tarts intense chocolate taste. In honor of the holidays approaching and my insistence that everyone start baking with instant coffee right this minute, I am giving away my two remaining packs (containing 3 servings each) of Starbucks VIA Extra Bold Italian Roast. According to my husband, they make a fantastic beverage, and according to me, they are excellent to bake with. I'll use a randomizer to pick the winners on Monday Nov. 23rd at 11:59pm EST and announce them at 7:00am EST on Tuesday Nov. 24th. 1) Leave a comment telling me your favorite way to enjoy coffee (drinking, baking or cooking?) and anything else you'd like to share. 1. Preheat oven to 350. Butter and flour one 11" inch tart pan, or 5 individual tart pans. 2. Melt butter 16 oz. of chocolate together in a heatproof bowl. You can either melt the chocolate by placing the bowl over a pot of simmering water, or by microwaving it in 30 second bursts. Stirring after each interval. Make sure butter and chocolate melt and are stirred together completely - then set aside to cool. 3. In an electric mixer beat the eggs, sugar, coffee and vanilla until light and fluffy. Add melted, cooled chocolate and mix to combine. 4. In a separate bowl combine the flour, baking powder, salt and remaining 4 oz. of chopped chocolate. Gently fold this into the wet ingredients until just combined. 5. Pour batter into prepared tins and bake for 35-40 minutes, or until the center of the brownie is puffed and crackly on top. 6. Cool brownies before removing from tart pan. Or, leave them in the individual pans and serve as is. Naptime Recipe Props: This is an adult brownie treat. It is a fabulous way to "dress-up" a basic dessert with flavor and flair, and is especially delicious served with fresh whipped cream at a dinner party. Or, even better, if you use individual paper pans, they make great gifts! I think they would be great with white chocolate chunks too, if you want to give them a new twist. Naptime Stopwatch: Making this batter requires your full attention for a brief 15 minutes. My oven had just enough time to pre-heat before I had these ready to start baking. Naptime Reviews: My daughter was not thrilled with the coffee undertones, but adults loves these. I drink coffee every morning, it's sort of a guilty pleasure. Sometimes I add sweetened condensed milk or a heaping spoonful of cocoa. These mocha tarts look delicious! Another reason I love coffee! My favorite way to drink coffee is out of the house! Walking into a coffee shop and indulging in a bold,frothy latte is pure heaven to me. My favorite way to enjoy coffee is Starbucks Peppermint Mocha w/ extra shot of espresso to go, window shopping along King St in Charleston, SC on a Sunday morning...pure heaven! These sound great! My favorite way to drink coffee is at my kitchen counter sipping a vanilla latte in jammies eating a scone. My favorite way to enjoy coffee is to drink it :) My favorite is french vanilla...yum! I've heard that the Via coffees are great in frozen coffee drinks, too... I need to give them a try. Love them in these brownies! Yum! I am not a big coffee drinker myself, i've actually never had an actual cup of coffee, but coffee ice cream is one of my favorite kinds! I have never tried baking with coffee, but would love to give it a go! Thanks for the recommendations and the recipes! My favorite is tiramisu. I fill up a french press halfway up with grounds, then top it off with boiling water. The resulting coffee is completely undrinkable, but is great for the dessert. starbucks instant coffee? wow! i love coffee in anything, but i really love a coffee and walnut cake with delicious coffee buttercream hmmmm. 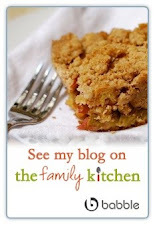 I just stumbled upon your blog ~ yum! I can't wait to try many of your delicious posts. This looks amazing and it has two of my favorite things ~ coffee and chocolate! Anytime, anyplace any kind! My seasonal treat is to drop a mint hershey kiss in my piping hot cup with a little cream! Tastes just like Christmas!